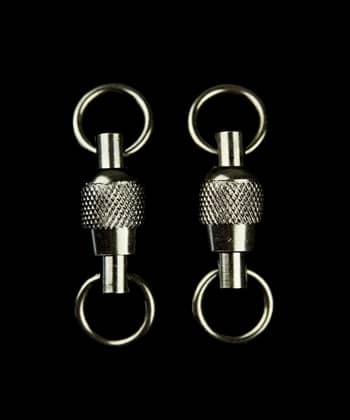 Presenting truly solid stainless steel swivels! These are hard to find - extensive testing has shown that most suppliers and manufacturers give misinformation and most "stainless steel" swivels are not 100%. We spent months tracking them down, and now we're making them available to you! Why stainless? In addition to being far more durable for demanding applications like our capsule-handles, these swivels spin like a hot top on butter, and enable you to experience the smoothest orbitals on the planet. You have to feel them to believe how smooth your spinning can be!